SUITE NY was honored to collaborate with our partners at &Tradition, to host Danish design duo, Space Copenhagen, for the first in a new designer focused event series. 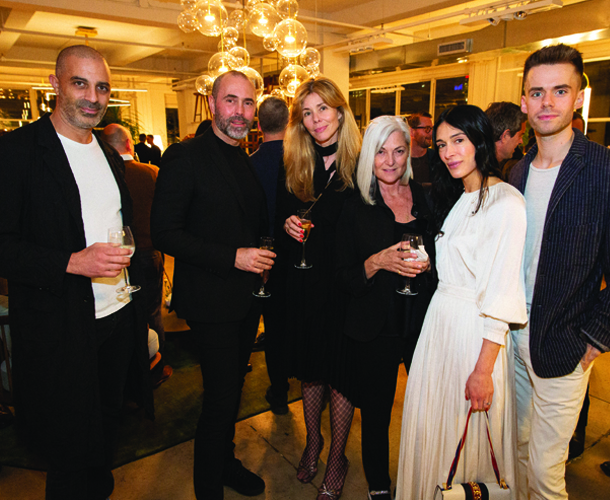 Guests arrived to our sun-filled showroom, greeted by SUITE NY’s principal and co-founder, Maria Sepulveda, who spoke about the evolution of the company and her vision for the future. Established in 2005 by Signe Bindslev Henriksen and Peter Bundgaard Rützou, Space Copenhagen is a design studio working across multiple disciplines from furniture, lighting and refined objects, to art installations, art direction and interior design for private homes, hotels and restaurants the world over. The studio’s intuitive approach embodies design that is distinctively shaped by the given circumstances, functional needs, and a fundamental interest in human behavior. It is a sense of and belief in a slow aesthetic that centers around quality and longevity. 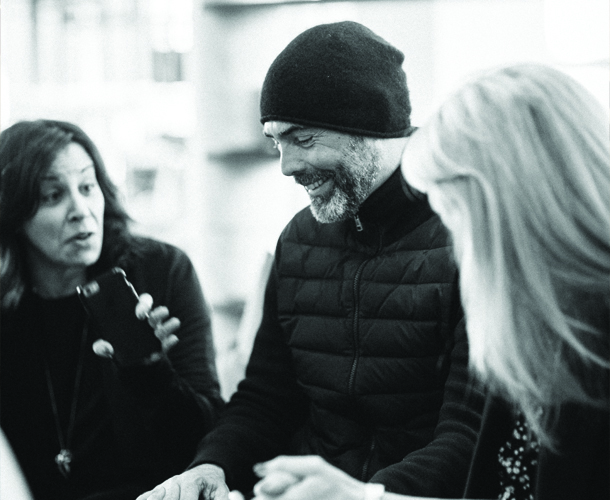 Journalist and content creator, Rima Suqi, led an innovative conversation with Signe and Peter, of Space Copenhagen. Taking a biographical approach, the conversation was a whimsical and unabashed look into the designers’ unique personal histories, their evolving interests, and ultimately their collaboration as cutting-edge purveyors of contemporary Danish design. Among the many fun facts gleaned from the conversation: Peter experienced a brief stint as a hand model, and Signe aspired to work in film scenography. Guests mixed and mingled over a savory breakfast while connecting with fellow industry leaders. 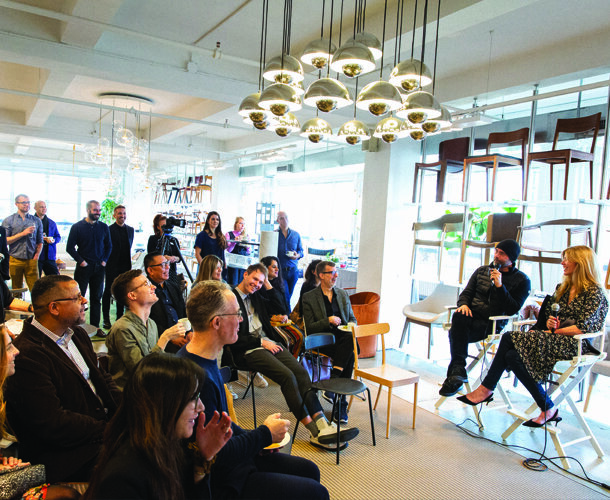 This energetic group of NYC’s creatives, editors, designers, and architects interacted with SUITE NY’s product assortment, most notably a featured vignette created from Space Copenhagen’s expansive collection in collaboration with &Tradition. In the evening SUITE NY transformed again into an intimate dining setting to welcome another esteemed group of movers and shakers from the design community. With the aim of bringing a diverse group of creatives together in the spirit of connection, curiosity, and conversation, principal members of the international A&D community gathered for a cocktail reception and private dinner to celebrate Space Copenhagen and their unique convening power. 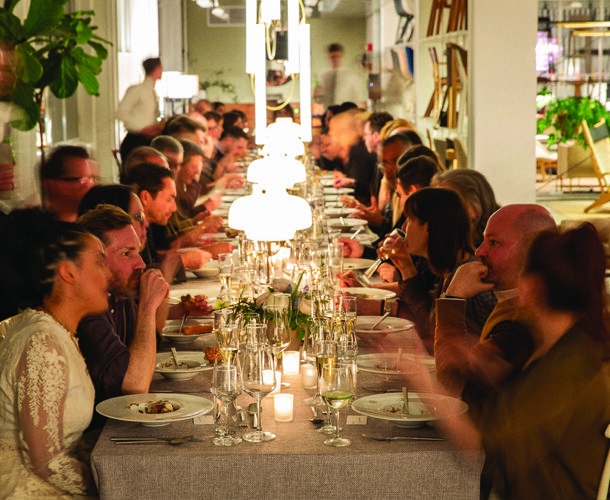 Following a heartfelt toast by SUITE NY General Manager, Nick Taricco, the evening advanced, combining a delectable meal and stimulating conversation—marshaling in new friendships and professional liaisons in the spirit of innovation and fine design. The intimate and memorable evening left us with ideas, opinions, and inspiration to ruminate on and apply to our continued mission of inspired design.